As the Medical Scientific Director, Maximilian oversees and coordinates the clinical and preclinical programs at Pantec Biosolutions AG, interacting with healthcare professionals, stakeholders, companies and public authorities. He is also engaged in business development activities and acts as a strategic advisor for both our customers and the Management Team. Maximilian holds a Ph.D. degree in Molecular Oncology and has authored a great many of scientific articles published in leading journals of the field. He is awardee of the prestigious Erwin Schrödinger Fellowship of the Austrian Science Fund and co-inventor of a cancer-related patent application. Maximilian is habilitated, holding the Venia docendi for Experimental Internal Medicine, Hematology and Oncology at the Medical University of Innsbruck. 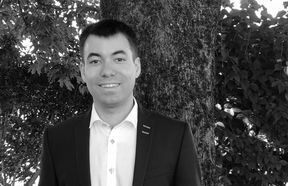 Maximilian brings along strong entrepreneurial spirit as well as great expertise in medical affairs and business development. An established professional network and contacts to key opinion leaders in both medicine and pharma are provided.